Mi esposa y mi suegra went to Germany, Sweden, Finland, Denmark, Norway and Estonia, and all I got was this lousy T-Shirt! Actually, I didn't even get a t-shirt, but they did bring me back one can of A. Le Coq Premium Export brewed in Tartu, Estonia. I really do appreciate the gesture but went into this pretty sure it was going to be a pretty forgettable beer at best. Fair right? 331 mL can, 5.2% alcohol. Best Before 05-08-15 which I'm pretty sure means August of next year. I poured A. 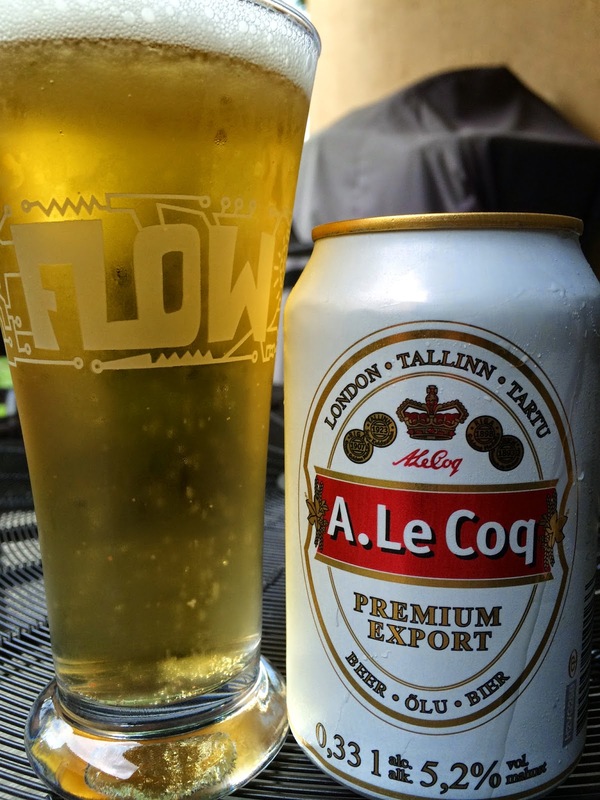 Le Coq Premium Export into my Magic Hat Flow glass, exclusively reserved for foreign beers of less than 12 ounces (the glass is diminutive). Faint grain aroma, basically nothing. Sweet grain flavors as well, approaching non-existence, totally bland. Some weird cardboard flavors stick out with not that much else going on. Carbonation is fine. Body is thin and weak. More cardboard and off metallic flavors linger at the finish. Exactly what I expected, worse than the US mass macros while still kicking the asses of Heineken and Corona! And I did drink the whole can. It was decently average enough.